The Nike Air Max 720 is a bold sneaker to say the least, coming onto the scene in blue and red gradient tones with the largest Air unit below foot yet. 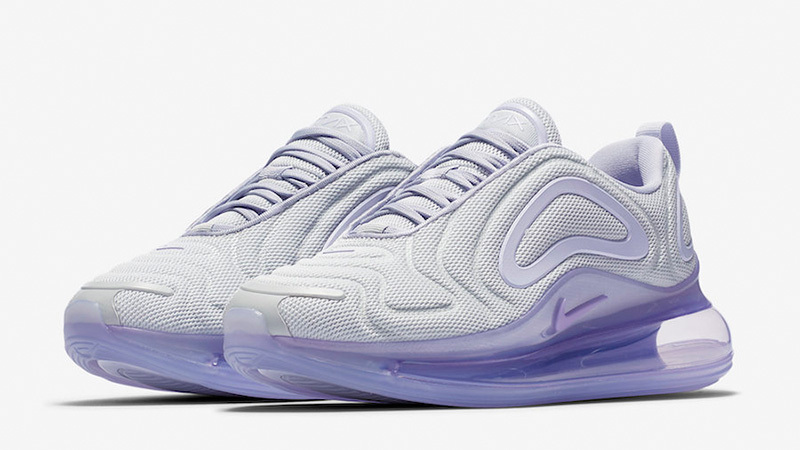 Recently, the news of the AM720 from the Fenom Gaze pack took over the hearts of our followers, with this Oxygen Purple hue following close behind. 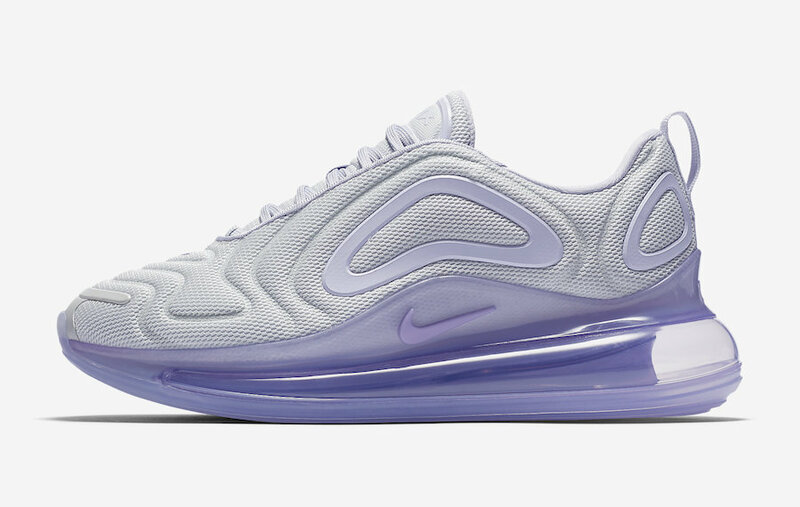 This purple colourway comes as a calming version, with a tranquil purple colouring the Max Air unit, the geometric shapes on the upper and tinting the rest of the sneaker in a pale purple tone. 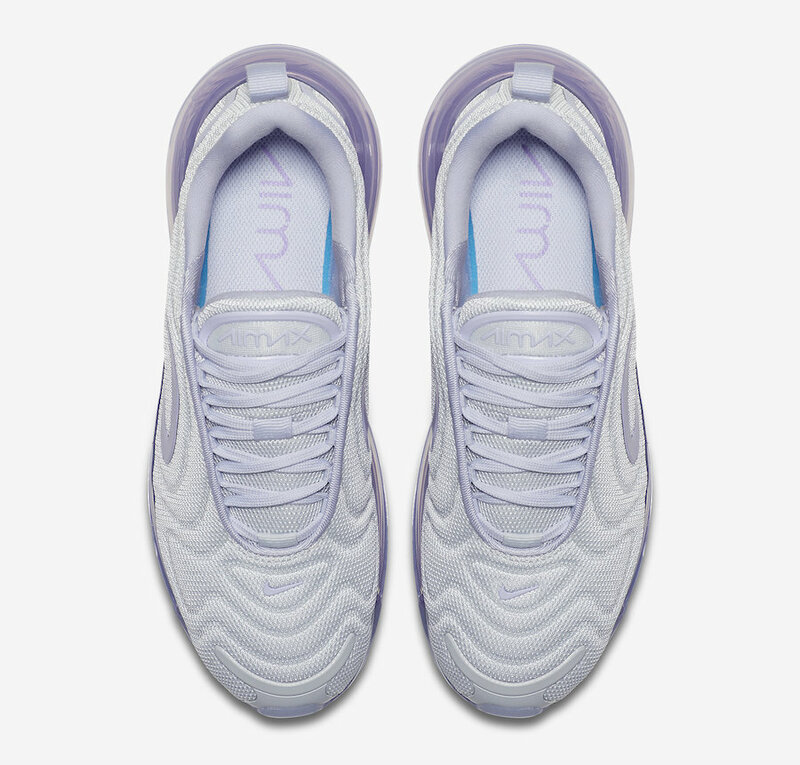 Carrying the recognisable futuristic shapes over onto it, these debossed waves circle around the sneaker and complement the larger than life bubble, which works perfectly with the streamline shape of the upper. Breathability won’t be an issue in these mesh kicks, so you can rock them on a run or with your day to day fits, while they keep you locked in just the right amount. Air Max branding can be found to the tongue of the Nike Air Max 720 while 720 branding has been embossed into the heel of the bubble. 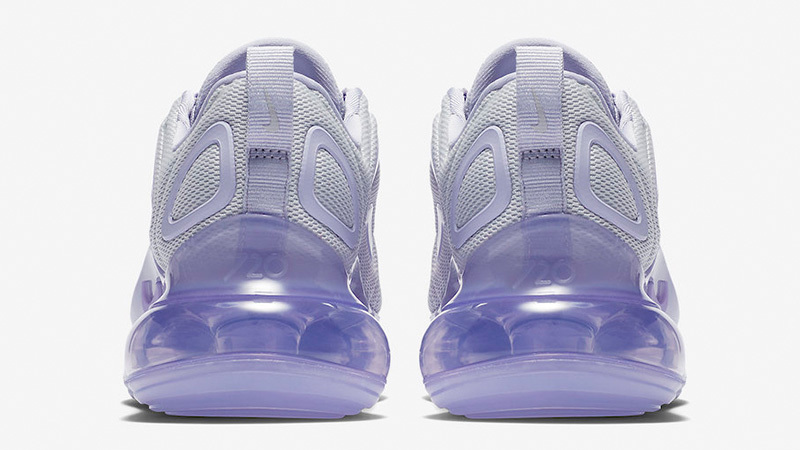 You can shop the Nike Air Max 720 Oxygen Purple right now!